I’ve been on a chemical peel kick over the last year, and my skin has never looked more youthful, radiant, and most importantly, clear. After suffering from acne as a tween, teen, and twenty-something, I grew accustomed to covering my skin with heavy foundation. I always felt like all eyes were on my acne. This year was different, though. This year, not only was I actually complimented on my “beautiful” skin, the praise frequently came from the beauty industry professionals I work with—dermatologists, estheticians, makeup artists and more. It’s been a compliment that I never thought I’d receive (and I’m still not used to), and I know that regular chemical peels are to thank for it. “Getting a chemical peel is surprisingly relaxing,” says Elizabeth Bahar Houshmand, MD, a Dallas-based dermatologist. The physician starts by cleansing and toning your face before applying the peel solution. Once the peel portion is over (there are 1-4 swipes over the skin when receiving a peel), the physician may apply a corrective serum, moisturizer and broad-spectrum SPF sunscreen. They target different skin concerns. There are many types of peels, all of which focus on various skin issues. Light chemical peels—or superficial peels—offer a very light exfoliation with zero down time and no peeling, says Bahar Houshmand. They can help fade mild hyperpigmentation, brighten the skin and plump fine lines and wrinkles. Medium-depth peels have some downtime and you may see skin start to peel a day or two afterwards. These are great for treating acneic or discolored skin, says Greenberg. Those with scarring, sun damage or uneven skin tones will really benefit from these peels. Deep peels are optimal for people that have severe wrinkles, loss of elasticity, deep scars and aging skin. “This type of peel is normally done under sedation and involves up to two weeks of down time,” says Bahar Houshmand. The best part about getting a light chemical peel is the luminous glow it offers the minute you walk out the door—and believe me, I can attest to this! Some patients may experience a slight redness, but it’s only temporary—you can apply your makeup about 30 minutes after the peel. I have experienced some very minor flaking occasionally, but it’s barely noticeable to anyone but myself and usually goes away after a day or two. They can make your skincare products work better. Because the acids in peels immediately lift away dead cells, they actually remove a layer of skin, which can help your products penetrate deeper, says Bahar Houshmand. Removing a layer of skin signals the living cells below to move up and increase their collagen production, making more hyaluronic acid to plump the skin, creating a smoother, more radiant appearance. So now that I’ve convinced you, you’re probably wondering where you can transform your skin with a chemical peel? Many dermatologists and estheticians offer light, medium and/or deep chemical peels at their practices, and pricing on peels will differ depending on where you go. 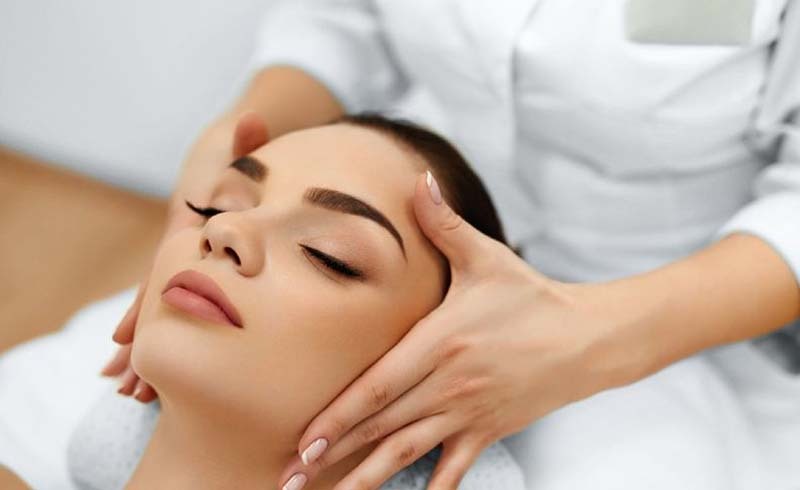 Massage Envy has partnered with PCA Skin (one of the original innovators of chemical peels) and now offers personalized peels at more than 1,170 of their locations nationwide. Check out MassageEnvy.com to find your nearest location. Happy peeling!